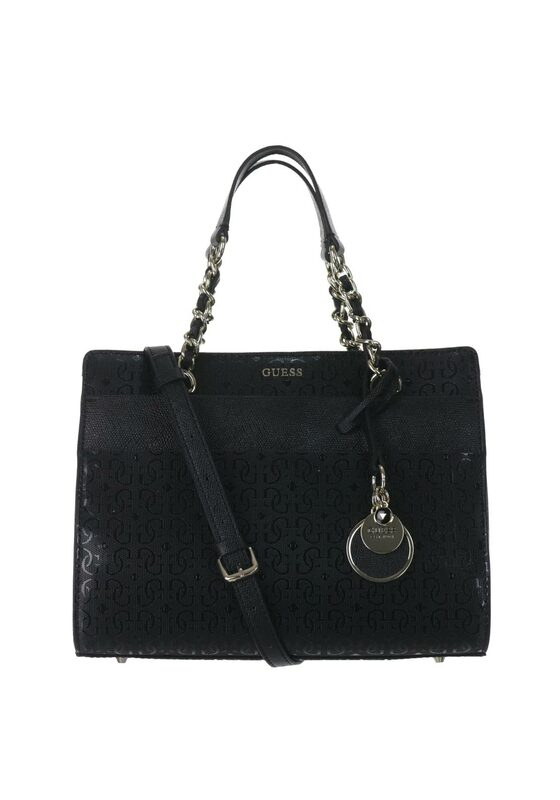 This black beauty by Guess is featured with the shiny G logo print and has double magnetic front pockets. With the classic Guess hardware on the front, it is accented with chain embellished handles and has a spacious triple compartment. Complete with a removable Guess charm that adds a modern touch to this elegant piece.